these may be the perfect baby wipes for you. Baby wipes are used for a ton of different tasks, including cleaning a baby during a diaper change, wiping messy faces and hands, cleaning off surfaces and much more. These top rated baby wipes are all manufactured by top companies in the baby industry. These companies are trusted and preferred by parents, whether they are brand new or the parents of several children. Not all baby wipes are made of the same quality materials. Some are exceptionally thin and tear easily; others are thick but not very “wet”. Your preferences play a part in the type of baby wipe that will work the best for you. These reviews will give you detailed information about these three top rated baby wipes and the features they have. New parents or caregivers often find themselves buying products for which they’ve never previously been in the market. It can be overwhelming to buy baby wipes since there are so many brands and quantities of wipes available. Once you find a wipe that works with your child you can stock up, as they last for several years when kept in original packaging. Pampers is one of the most popular brand names in the baby industry. Their reputation is one of quality and trust, making parents feel safe and comfortable for decades. 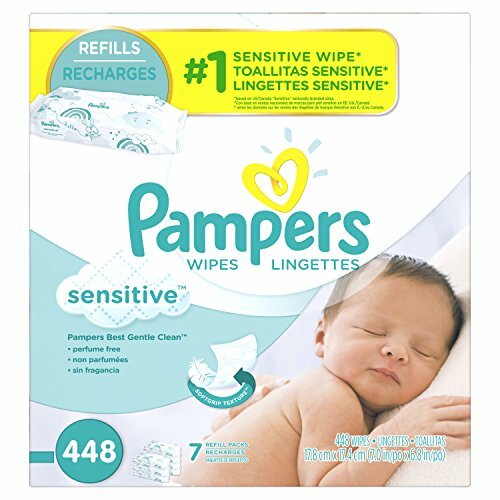 Pampers Sensitive Wipes are one of many pampers wipes. They are clinically proven to be mild on your baby’s skin. They aide in restoring the natural skin balance but are still superior in cleaning the baby so rashes and skin breakdown doesn’t occur. These Pampers wipes are both perfume and alcohol free, two ingredients that are known to cause problems with a newborn baby’s skin. They have been dermatologist tested and can be used on faces and hands too. These wipes are 20% thicker than the regular Pampers wipes which help provide a good cleansing at diaper changing time. The unique texture, a soft grip, slightly raised one, means less wipes are needed to achieve the same thorough cleaning. They come in a resealable, pop top pack that makes grabbing one easy and efficient. There are many sizes that these baby wipes can come in depending on how many you want to purchase at one time. You can get the largest tub for home use and the smallest to keep in your diaper bag. These make terrific gifts for new parents, who will appreciate the extra wipes when they realize just how many they will be using every day. Get the perfect combo of versatility and convenience with these Simply Clean baby wipes from Huggies. Huggies is another extremely popular, well liked and trusted manufacturer of baby products. These wipes adhere to the quality standard of all Huggies products. They are the perfect wipe to take care of cleaning the hands, faces of your entire family regardless of age and are excellent for diaper changes. Simply Clean Huggies Baby Wipes are designed to be used to clean up all messes, for any member of the house. Does an older child have a dirty face? Use a Huggies Simply Clean baby wipe to get them clean. These wipes are hypoallergenic so they can be used on anyone in the house regardless of how young or old they are. Amazon Elements created their unscented baby wipes based on what customers said they did and did not like about baby wipes in general. The result is a product that has those features customer’s wanted and gets rid of the things they don’t want. They are manufactured by a company called Nice-Pak that has been in the wipes industry for over 50 years. These wipes are free of parabens, added fragrances, alcohol, bronopol, phthalates, methylisothiazolinone (MIT for short) and dyes. These wipes won’t cause rashes and skin irritation on your baby no matter how young they are. They are available in sensitive, unscented and fresh scent. These wipes are designed for the diaper area, face, hands and feet of your baby so you can get them clean quickly and easily…and safely. They come in two pack sizes, 480 counts and 720 counts. With choices of flip top packs as well as peel and seal refill packs you can get a large pack for the house and stock up on refill packs and even toss a refill pack in the diaper bag when traveling or on the go. There is soothing aloe and vitamin E in the Amazon Elements wipes to support the hydration of the baby’s skin which can easily become dried out. The pharmaceutical grade purified water that is used for these wipes also add to their gentleness and accounts for about 97% of the liquid in these wipes. Baby wipes are possibly the most used baby supply, even beating out diapers since they are used for hand and face clean up as well. It is important that you choose a baby wipe that is going to be durable, free of alcohols and other ingredients that can irritate your baby’s delicate skin and also be cost efficient too. These top rated baby wipes fit the bill on all of those points and more. They come in a variety of sizes and package types to make them super convenient to use and carry when needed. Below is our buyer’s guide that will give you more information about baby wipes so you can easily make a choice regarding the kind you want to use. This knowledge will make sorting through all of the choices much easier and eliminate the stress that having too many choices and not enough knowledge can cause. What is a Baby Wipe? Baby wipes are a part of everyday life when you have a baby. Even as the baby gets older, baby wipe usage doesn’t really go down. Choosing the wrong baby wipe can cause your baby to have irritated skin, more incidents of diaper rash and other problems as well. A parent should not choose a baby wipe because it is the cheapest they can find. They should choose based on quality and the needs of their children. If you are a new parent-to-be you may not realize that babies need to have their diapers changed, on average, 10 to 12 times a day. Every time the baby’s diaper is changed, 3 or 4 wipes will more than likely need to be used and sometimes, depending on the size of the mess, even more may be needed. With all of the wet and dirty diapers that a child goes through their first year and the hands and faces that are wiped, parents can expect to go through thousands of wipes each year. It is important to make sure those wipes are the best possible ones for your baby. Because so many infants can have skin sensitivities when they are first born, using non toxic baby wipes is a very good idea. For this reason, there are some things that a parent needs to consider in the search for the right baby wipes for their baby’s needs. We have outlined these considerations below. Check the Ingredient List – You want to know what is in the products that you are using on your baby. Reading the ingredients list is a way to get that information. You also want to know the possible effects those ingredients may have on delicate skin. Become aware of the types of ingredient that you want to avoid such as alcohol, parabens, fragrances and similar ingredients. Look for ingredients that will keep skin hydrated – Ingredients such as aloe are good for the baby’s skin and will not typically cause any irritation or rashes. Lanolin is another ingredient that is good for the skin. Both aloe and lanolin provide a barrier between the wet or dirty diaper and the baby’s skin. Studies have shown that when a baby is cleaned properly with the right kind of baby wipe with these good ingredients in them, that they have less incidences of diaper rash. Thicker is better – thin flimsy baby wipes not only clean less effectively, they can leave the baby open to getting accidentally scratched. The way you can tell if a baby wipe only has one layer is to poke your fingernail through it. A one layer wipe will easily poke through. Thicker wipes are much better at cleaning and protecting the baby’s skin. Quilted Surfaces are More Effective – The quilted surface of a baby wipe is much more effective at cleaning the baby than the smooth texture wipes. It helps to remove a bowel movement from the skin quickly and efficiently and can also remove dirt or food from the face and hands easier as well. They also feel better against the skin than the smooth textured wipes do. What is the Expiration Date? – Baby wipes that have not been opened can last up to two years as long as they are kept at room temperature. Sunlight or extreme heat will dry out baby wipes even if they are not opened. Once you have opened the package, as long as it is closed properly, the wipes will stay hydrated and usable for up to a year. The pop tops that close completely work well or you could get a separate Tupperware container with a properly fitting lid. How are they packaged? – Look for baby wipes that are packaged in bulkier cardboard boxes and canisters. You want packaging that will not lend it to premature drying of the wipes inside. Many parents will stock up on wipes, so making sure they are packaged properly will ensure you don’t have any packages that get ruined. Consider package size choices – Parents use baby wipes at home and on the go so having a choice of sizes is a real convenience. Look for baby wipes that come in a multitude of sizes so you can get a large container for the nursery, a midsized one for the kitchen and a travel size for the diaper bag. There are many questions that have been asked about baby wipes. We’ve included the most often asked questions for your convenience right here. Can dried out wipes be rehydrated? – It is unsafe to try and re-hydrate baby wipes that have dried out. In many cases, special pharmaceutical grade purified water has been used in the wipes and using regular tap water to re-hydrate them can result in discoloration, odor and even bacteria growing on the wipes. If you have wipes that dry out, you are better off throwing them away and replacing them with a fresh pack. Are the plastic pop top tubs refillable? – Most baby wipes have pop top rectangular containers that are refillable. This means a savings in cost since the refill packages are usually less expensive. Many people also use the tubs for other things as well such as keeping track of the small baby supplies, and many other jobs as well. Before adding a refill pack to the old tub, make certain that you wash the tub out with soap and water and dry before putting the new pack in. Are Baby Wipes Recyclable? – The baby wipes themselves and the shrink wrap they are usually packaged in need to be thrown away and cannot be recycled. Depending on the materials, the box the packages come in and the tubs themselves may be. Can I flush Baby Wipes? – There are some flushable baby wipes on the market but they are marked as such. Regular baby wipes should not be flushed down the toilet or they could cause a back up. How Long do the Wipes Last? – Most wipes have a use by date somewhere on the container. Most baby wipes have a 1-2 year shelf life. Can I use baby Wipes for cleaning other parts of my baby? – Most baby wipes can be used on hands, feet, arms, face and anywhere a wipe is needed without any problem at all. If you are going to be using the wipes on the baby’s face, make certain you are using hypoallergenic, fragrance free, alcohol free wipes so the baby’s gentle facial skin does not get irritated. Whether you are wiping dirty hands and faces, changing a dirty diaper or wiping off the high chair, walker or stroller, baby wipes will come in handy a lot during the first couple of years of your baby’s life. Knowing the right things to look for when you start shopping can ensure that you get what you are looking for. The right baby wipe will be tough, thick, contain no harmful ingredients and be cost effective as well. 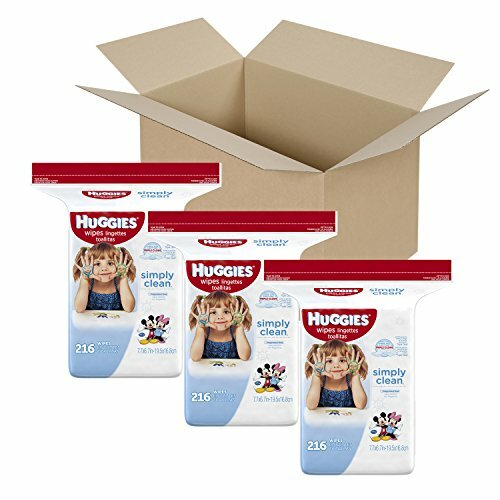 You are now armed with the information you need to sort through all the different choices of baby wipes and choose one that has the features you are looking for as well as the price, reputation, and quality. Buying extremely cheap wipes may save a few dollars at first, but overall they are not good for the baby’s skin. It is much better to be proactive and spend the extra couple of dollars for a great quality wipe that you won’t have to worry about tearing, causing skin irritations or rashes or otherwise being a bad choice. When you find the right wipe, if you want to stock up, make certain you store the additional packages in a closet where they will not get affected by sunlight, extreme heat or cold or be used for everything. Since the wipes have a 12 to 2 year shelf life, they make excellent baby shower gifts as well. You may think it’s not a good shower gift, but having a stockpile of baby wipes means you don’t have to worry about running out of wipes at an inopportune time.